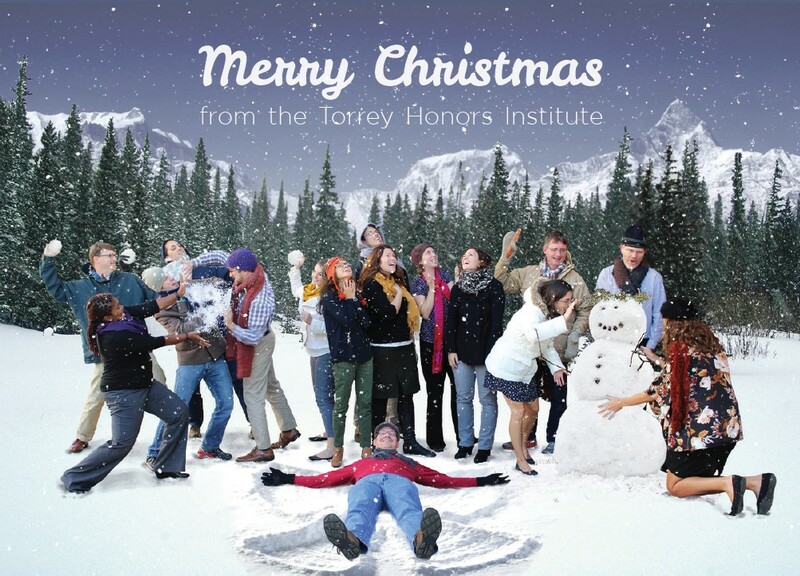 This year for our Christmas card, the faculty and staff of the Torrey Honors Institute chose a winter theme. This sent us all to our closets and garages to find coats, scarves, and hats that don’t get much use here in Southern California. One of our art students, Katya Austin, gave us some instructions and took some pictures. Then we waited to see how they would come out. When my family got the card in the mail we were quite impressed. What impressed my wife is that Torrey had chosen to fly us all to her childhood home in Pokhara, Nepal, where her family was stationed for their missions work. She immediately recognized Machapuchare and several other peaks in the Annapurna range of the Himalayas. What impressed my teenaged sons is that the camera caught Jamie Campbell (front row, far left) in the act of snowbending. Actually, it’s not clear from the picture whether she’s a snowbender like the Avatar or has the power to conjure up storms like Storm from the X-men or Elsa from Frozen. What impressed me as I pondered the picture is that we seem to have been (providentially?) arranged into groups that represent the three classes of the ideal city that Socrates and his friends create in Plato’s Republic. The group on the right building the snowman appears to represent the class of the craftsmen, or producers. 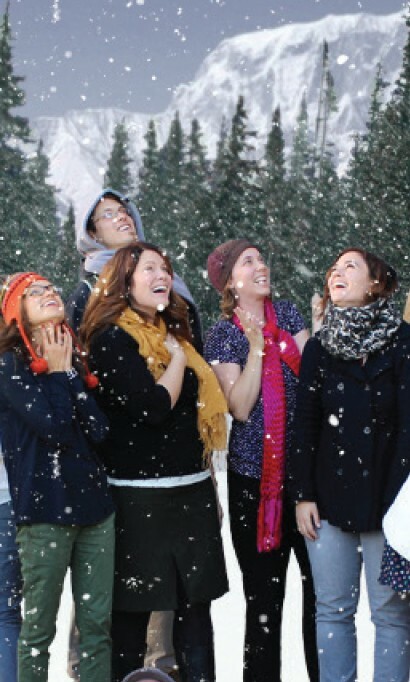 The group in the middle with their faces turned up to the falling snow seems to be the rulers, who are “philosopher kings” gazing on the form of the Good. 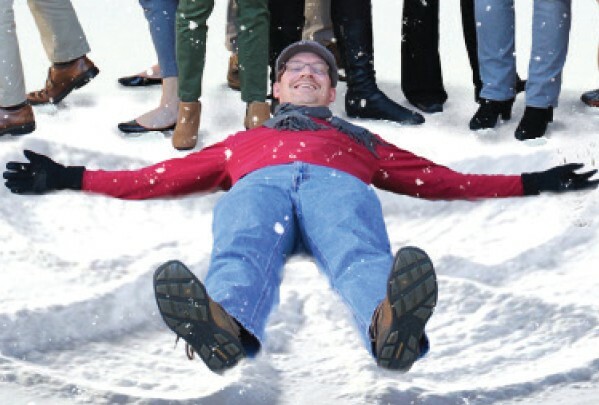 This leaves the question of what Greg Peters is representing by making a snow angel. To answer this question you have to know a little more about the city in the Republic. Socrates and friends came up with this city in a quest to define “justice.” After describing the three classes in the city, Socrates notes that three of the cardinal virtues—temperance, courage, and prudence–have special reference to the three classes—artisans, warriors, and rulers respectively. This leaves the question “Where’s the fourth?” Justice, he says, applies to each of the classes and is defined as that class keeping to its own business rather than doing the work of the other classes. I take it then that Greg represents Justice, binding all three groups of the city together in perfect harmony. 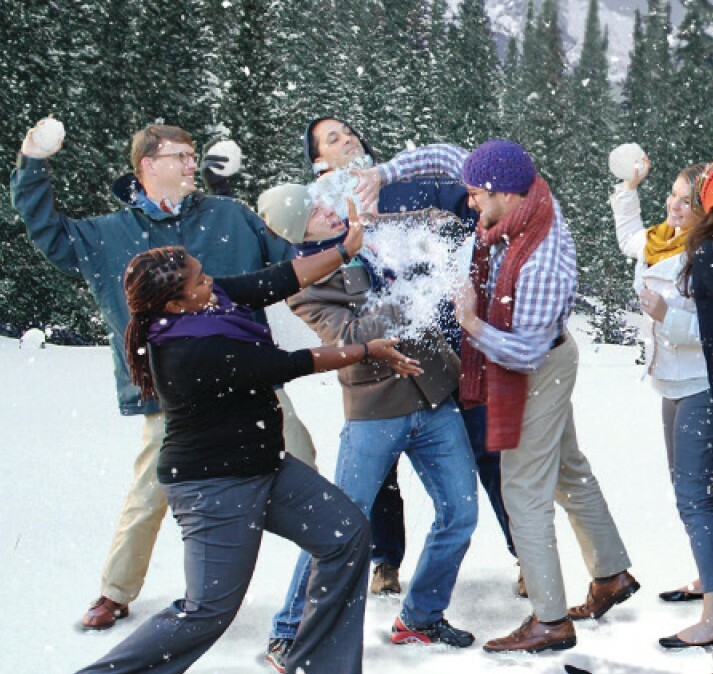 There are a few examples of injustice in our picture: Paul Spears, the director of Torrey, should clearly be in the middle group of rulers (not behind the snowman), and Fred Sanders, who is supposed to be helping the artisans with the snowman, appears to be taking the part of guardian, wielding his carrot as weapon. 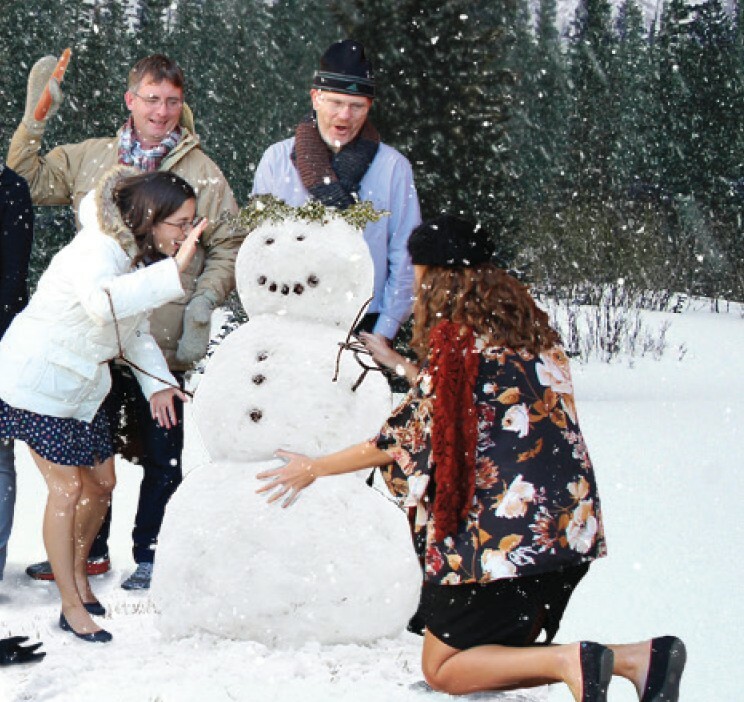 Further reflection reveals that the snowman is an essential part of our Platonic tableau. It clearly represents the tri-partite soul described in the Republic. After finding justice in the imaginary city, Socrates turns to finding justice in an individual’s soul. The three classes of the city correspond to three parts of the soul: the rational (here represented by the snowman’s head), the spirited (the snowman’s chest), and the appetitive (the large foundational snowball). The snowman’s smiling face and crown of leaves show that this is the image of a well-ordered, or just, soul.